- Comfort Colors Adult 6.1 Ounce Heavyweight Ring Spun Cotton Long Sleeve Pocket T-Shirt. - 6.1 ounce 100% pre-shrunk cotton; heavyweight long sleeve that features double needle stitching on the neck, and bottom hem. - Ribbed collarwith set-in sleeves, shoulder-to-shoulder taping. - Ships from Eden, NC. 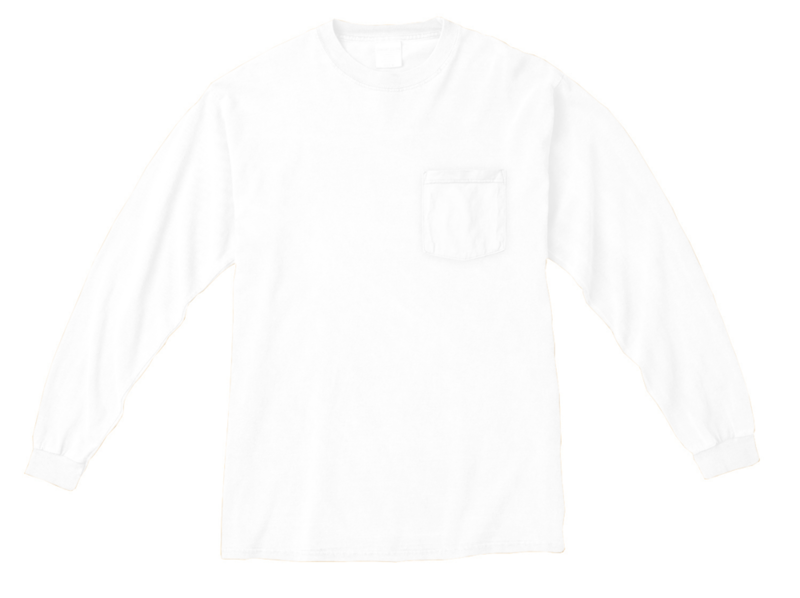 Comfort Colors Adult 6.1 Ounce Heavyweight Ring Spun Cotton Long Sleeve Pocket T-Shirt. 6.1 ounce 100% pre-shrunk cotton; heavyweight long sleeve that features double needle stitching on the neck, and bottom hem. Ribbed collarwith set-in sleeves, shoulder-to-shoulder taping. Left chest pocket. Ribbed cuffs. Twill and Joker labels. Ships from Eden, NC. Goods shipping from Eden must be ordered in case lots. Sizes S-3XL: White, Berry, Black, Blue Jean, Boysenberry, Brick, Bright Salmon, Butter, Chalky Mint, Chambray, Clover, Crimson, Crunchberry, Denim, Flo Blue, Granite, Graphite, Grey, Heliconia, Ice Blue, Island Green, Island Reef, Lagoon Blue, Light Green, Midnight, Neon Red Orange, Orchid, Peony, Pepper, Red, Seafoam, Terracotta, Topaz Blue, True Navy, Violet, Watermelon. Styles and Colors shipping from locations other than Gainesville can be ordered in case lots only.